You can easily migrate from your existing account of Campaign Monitor to EasySendy Pro. In order to do this, you need to export Active Subscribers, Bounced Subscribers, Manually Deleted Subscribers, Unsubscribed Subscribers and All Subscribers email from each email list of your Campaign Monitor account and then import them inside your EasySendy Drip (or EasySendy Pro) account accordingly. 1. Login to your existing Campaign Monitor Account (users account) and go to the “Lists & Subscribers”option. 2. Select the list which you want to export. 3. Now Click on “Export” option from right side of screen. 4. 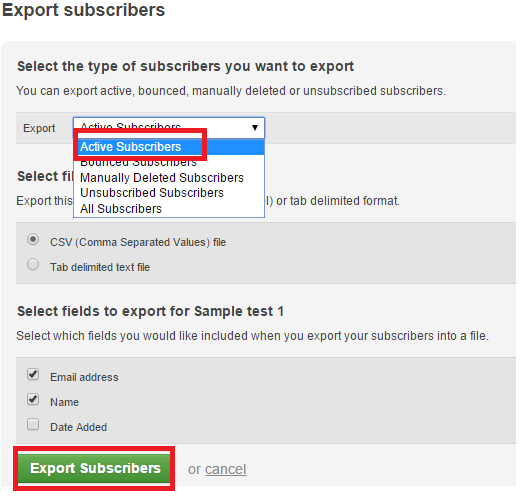 On the next screen, you can select the type of subscribers as “Active Subscribers” which you want to export, type of file and the fields which you want to export and finally click on “Export Subscribers” option. 5. Extract the downloaded file, edit the .csv file and keep only FNAME, LNAME and Email Subscribers (if you want). 6. Now, login to your EasySendy Drip (or EasySendy Pro) Account. 8. 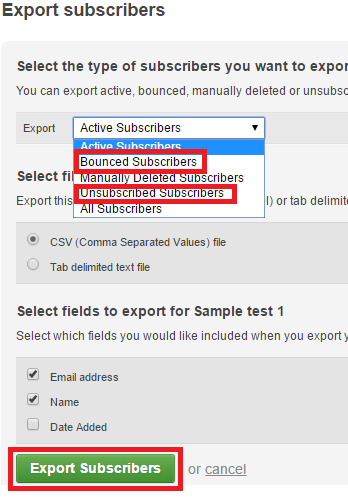 You can select the type of subscribers as “Unsubscribed/ Bounced” Subscribers which you want to export, type of file and the fields which you want to export and finally click on “Export Subscribers” option. 9. 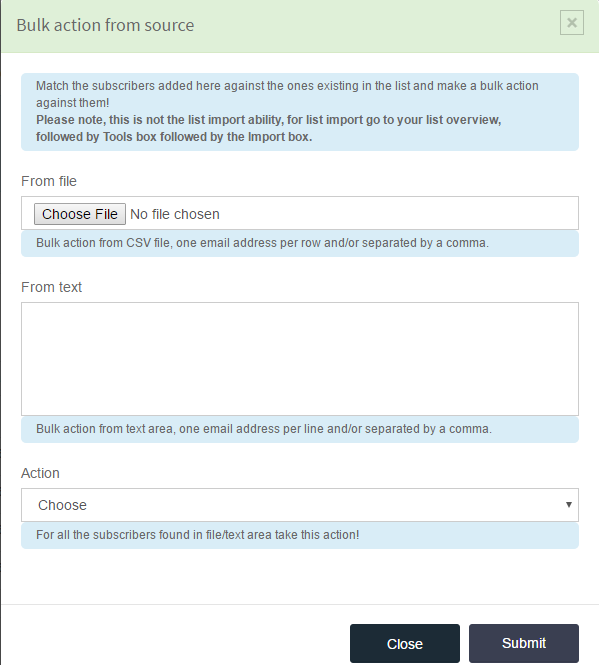 Edit the .csv file and keep only FNAME, LNAME and Email Subscribers (if you want). 10. Import unsubscriber inside the same EasySendy Drip (or EasySendy Pro) email list.